Jim supports the use of technology by the faculty, staff, and students of the School of Social Work. He provides technology consultation for instructional innovation, research interests, and office productivity. Academic consultation includes such technologies as Canvas, Collaborate, and Cisco/Jabber video-conferencing as well as instructional design of synchronous and asynchronous courses. 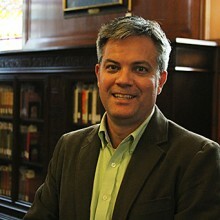 He collaborates on the management of the School of Social Work website and other social media communications, assists in the operation of educational outcomes using tools such as TaskStream, works closely with Baylor IT on solving technology issues, manages the technology inventory and budget, and supervises student workers.